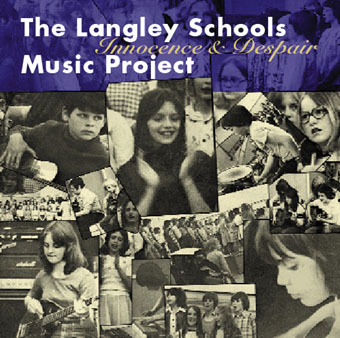 The Langley Schools Music Project: "INNOCENCE AND DESPAIR"
The recordings were newly remastered and CEDAR-cleaned, and reverberate with an astonishing range of.fidelity. The package includes a 16-page full-color booklet chronicling the development of the recordings; personal reminiscences from Hans Fenger; photos from the original LP covers; and colorful.sidelights. "I don't care how grizzled and jaded a hipster you are--I don't care if you're a 400-pound biker who's killed a half dozen Aryan Brotherhood guys in prison--if you aren't a little moved by [the Langley recordings], you're a f***ing robot." "I find myself calling friends, turning The Langley Schools Music Project up really loud, holding the phone out and going, 'Can you hear that?' I put it on at odd times during the day, tuning it in and out, sometimes wincing as the singers hit a strange note, then shaking my head in puzzled wonder when the music suddenly, and against all odds, transcends the kitsch limitations that seem designed to keep it earthbound and soars off into the realm of true art. It flies -- crooked as a butterfly's flight, but it still flies. I wish every school taught music like this. I wish every piece of music recorded in a school gymnasium were this haunting... and then I suspect that, if I listened to them right, maybe they would be."
. "Bowie's lyrics on the original 'Space Oddity' are a Beckett-like paean to the inescapable loss of connection and communication that terrifies us all. What makes the Langley children's version so fascinating is that they sing it joyfully instead of mournfully, and the song takes on a celebratory meaning. The lyrics are delivered as if the kids are in a playground rather than a marooned space capsule. ... The more you listen to the song, the more you hear that the children are treating the recording as a social event and that they love their music teacher. There's a playfulness going on--they're not performing for an audience or parents but just for the love of singing together." "I knew virtually nothing about conventional music education, and didn't know how to teach singing. 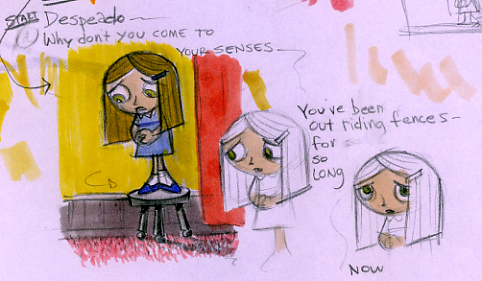 Above all, I knew nothing of what children's music was supposed to be. But the kids had a grasp of what they liked: emotion, drama, and making music as a group. Whether the results were good, bad, in tune or out was no big deal -- they had elàn. This was not the way music was traditionally taught. But then I never liked conventional 'children's music,' which is condescending and ignores the reality of children's lives, which can be dark and scary. These children hated 'cute.' They cherished songs that evoked loneliness and sadness." Music supervisor Hans Fenger expresses hope that the commercial release of this material will prompt some of his former students to reestablish contact. He'd like to know how they're doing. Email will be forwarded to Fenger through Langley Music Info. Excerpt from program brochure for Transient Glory: The Voices of Children, The Young Peoples' Chorus of New York City, directed by Francisco J. Nunez (2002): "The unique aspect for a children's chorus as a musical instrument is that the performer who sings in it can use his/her instrument for only a very short period of time before relinquishing the art to others. This transient, eternally self-renewing quality endows the instrument with a particular poignancy and innocence." All content © Irwin Chusid except where indicated.